'The Knook' - ideal for crocheters who want to knit. 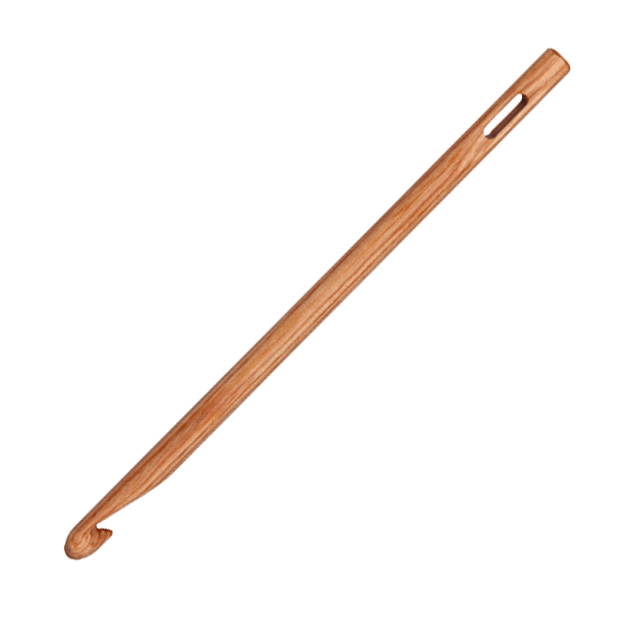 KnitPro's Knooking Crochet hook in wood is not an ordinary crochet hook. 'The Knook', as it is called, is a crochet hook with a needle eye in the grip end. The crochet hook can be used as a normal crochet hook but also as a knitting needle - yes, you can knit with a crochet hook! 'Knooking' is a crossword of the two singular words 'knitting' and 'hook', i.e. knitting and crochet hook. 'Knooking' means crochet with the knooking needle, but the meshes looks like they're knitted. There may be rows or rounds with 'The Knook' and even the smallest circumference may be knit. 'The Knook' is available in sizes from 4-12 mm.